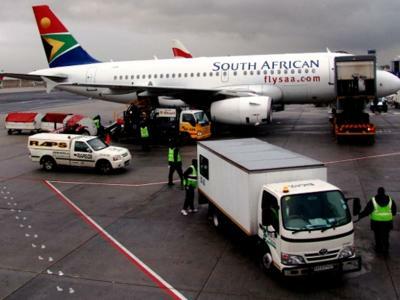 Boeing and South African Airways (SAA) are collaborating on development and implementation of a sustainable aviation biofuel supply chain in southern Africa, a first for the continent. The collaboration forms part of both companies’ broader efforts to support environmental sustainability for the national carrier’s operations and the overall commercial aviation industry. “SAA is taking the lead in Africa on sustainable aviation fuels and, by setting a best practice example, can positively shape aviation biofuel efforts in the region. By working with Boeing’s sustainable aviation biofuel team, which has a history of successful partnerships to move lower-carbon biofuels closer to commercialisation, we will apply global best technology to meet southern African conditions, diversify our energy sources and create new opportunities for the people of South Africa,” Ian Cruickshank, SAA head of group environmental affairs, said. Boeing has collaborated extensively with airlines, research institutions, governments and other stakeholders to develop road maps for biofuel supply chains in several countries and regions, including the United States, China, Australia and Brazil. The aerospace company’s plan to work with SAA is the first such project in Africa. “Sustainable aviation biofuel will play a central role in reducing commercial aviation’s carbon emissions over the long term and we see potential for these fuels in Africa. Boeing and SAA are committed to investigating feedstocks and pathways that comply with strict sustainability guidelines and can have a positive impact on South Africa’s development.” Julie Felgar, managing director of environmental strategy and integration for Boeing Commercial Airplanes, said. Flight tests show biofuel derived from organic sources such as plants or algae, performs as well as or better than petroleum-based jet fuel. When produced in sustainable ways, biofuel contributes far less to global climate change than traditional fuels because carbon dioxide is pulled out of the atmosphere by a growing plant-based feedstock. Boeing and SAA believe new developments in technology will enable the conversion of biomass into jet fuel in a more sustainable manner without competing with other sectors for food and water resources. The World Wildlife Fund-South Africa will monitor and ensure compliance to sustainability principles to ensure fuel is sustainable and will lead to genuine carbon reductions. Aviation biofuel refined to required standards has been approved for a blend of up to 50% with traditional jet fuel. Globally, more than 1 500 passenger flights using biofuel have been flown since the fuel was approved, Boeing said.